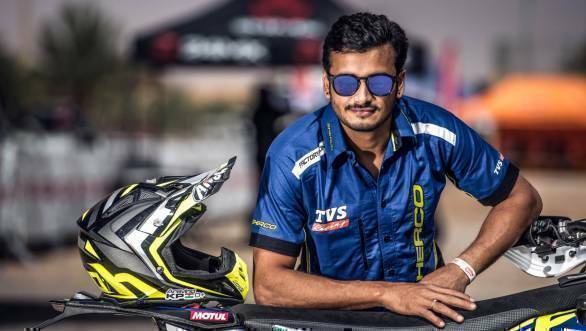 The Sherco TVS Factory Rally Team has finally announced their fourth rider for the 2019 Dakar Rally, and happily enough for Indian motorsport fans, it is KP Aravind. Aravind, who has been recovering from injuries sustained in the 2018 PanAfrica Rally has been given the all-clear by doctors and will be back in the saddle of the Dakar-spec RTR 450 Rally at the 2019 Dakar. 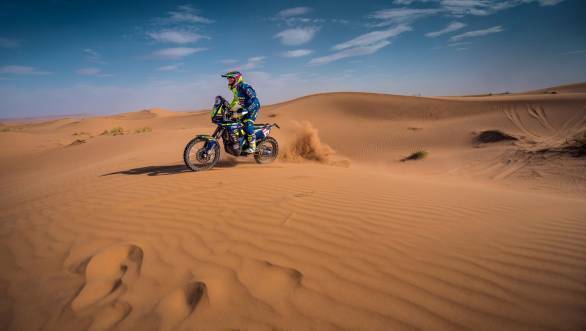 Overall, it's been a year of recovery for Aravind, who injured himself at the 2018 Dakar, and spent several months recovering before yet another injury at the PanAfrica Rally. Speaking of his return to the Sherco TVS Factory Rally Team, Aravind said, "Dakar is the ultimate challenge for any racer and I am glad to be a part of it for the third consecutive time. I thank TVS Racing and Sherco for believing in me and giving me another opportunity to fulfil my dream of finishing the rally. The past 10 months has been a journey of ups and downs but I have focussed on my fitness and recovery to ensure I am ready for Dakar." Aravind went on to talk of the critical time that lay ahead of him, stating that he was going to go to Morocco to train in the dunes with his team-mates, French brothers Michael and Adrien Metge. Aravind also said that conquering Dakar 2019 was now his sole goal. Meanwhile, B Selvaraj, team manager of TVS Racing said, "I am happy that Aravind KP is returning to Dakar with full energy and vigour. We are very confident given his experience in the international racing arena and Dakar in particular, he will be able to perform well. The team has worked hard on the race strategy and is focussed on maintaining consistency all through the race. We are competing with four best riders in the team and are very confident of a top 10 finish." In addition to Aravind and the Metge brothers, Enduro Champion Lorenzo Santolino from Spain is part of TVS' 2019 Dakar squad. The 41st edition of the Dakar rally will be held between January 6th and 17th in Peru.